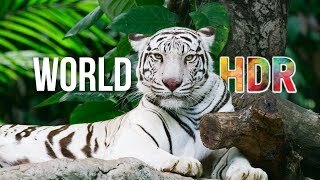 We worked closely with YouTube's engineering team the last few months to provide this HDR video of some of our favorite and some of our unseen footage from the the last 3 years. If you don't have an HDR display no worries, YouTube will automatically detect which type of display you are watching this on and down convert this video to SDR. FUTURE PROOFING AGAIN. 4K, 8K, HDR, YouTube is still leading the pack in allowing content creators to upload and future-proof their content for years to come. iTunes: http://apple.co/1I7dyze Amazon: http://amzn.to/1HHGGNb Spotify: http://spoti.fi/1JRctgW The Music Bed: http://bit.ly/1dBQBdp To learn more about our journey on mastering and shooting in HDR please follow our blog: http://mysterybox.us/blog HDR VIDEO PART 1: WHAT IS HDR VIDEO? Content is available for commercial licensing upon request. Copyright © 2016 Mystery Box, LLC. All Rights Reserved. Copyright © 2019 Digital Travels Virtual Vacations. Tous les droits sont réservés.